Reaching and educating the new gardening consumer is getting easier and less expensive thanks to technology. Shoppers have changed, and they’re never going back. 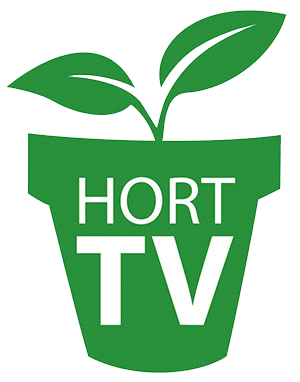 Garden retailers are realizing this and wondering how, in this modern world, they’re ever going to catch up and connect with the new breed of consumers. The good news is that this is getting easier and less expensive to do. And growers are becoming more cooperative and willing to pitch in to help. Area-specific instructions on how to grow and maintain these plants. They want information that will set them up for success in their own backyards, not generic information saturated down so that it works from Denver to Atlanta. They want information at the time of purchase, and accessible at their home at any time thereafter. Most garden center operators never realize how much their customers hang onto their tags for future reference. Plant descriptions that go beyond just color, height, width and hardiness. Shoppers are at garden centers for a reason. They want their passions ignited. They want to know plant history, where it originated, any potential culinary applications and companion plants. That’s not too much to ask for, but it was very hard to provide in the past. But now producing your own high quality, full-color tags and signs in house is much more affordable. Retailers are now creating their own programs that allow them to supply cultural information that’s pinpointed to the local area, perhaps as targeted as neighborhood to neighborhood. Printing your own tags and signs requires several things: a color printer, weatherproof stock, some type of label software and access to some source of high-quality photography. The stock is available from many vendors. Just make sure you get it from a horticultural supplier. And whatever you do, stay away from laminating paper printouts. It’s expensive, labor-intensive and the signs will fade in a heartbeat. Buy stock made for nursery use, there are plenty of suppliers available. For the printer, they vary in price, quality and efficiency. Make sure you consider the toner-use efficiency of your machine because inefficient printers eat up toner and your cost per tag and sign will skyrocket. Also consider fade resistance. With some printers, your signs and tags can start to fade in less than a month in full sun. With others, you won’t see any fade for at least a year. For software, you could get by with something as simple as Microsoft Word, if you have someone on staff with the skills to design signs on it. But there are many software packages designed for making tags and signs, which will make the job faster and easier. With the TagXpress software system from Horticultural Marketing & Printing, for example, you also have access to a photo library. This is a great choice for garden centers without their own photos available. But even retailers not wanting to invest in their own color tag printers can get in on the act now. Many growers have invested in these machines and are offering customized tags and signs to their retail customers. Ask your growers if these programs are available. Most will require an up-charge on the tags, but for most retailers it’s more than worth it. It allows the garden centers to customize the plant information, expand their name brand and include their own logo on the tags. They can even trial new programs on a limited basis to see if they are popular before trying them on a large-scale basis. Do you want to deliver even more specific information, and in a method that is preferred by most consumers? Now the technology is here that allows consumers to access botanical tomes worth of information, directed straight to their smartphones via text message. Most people are familiar with QR Codes: those square barcodes that allow you to access websites on your smartphones. Just 10 years ago, it seemed these would revolutionize how we disperse plant information. The problem is that statistically nobody used QR Codes. They required you to download an app, and they weren’t easy to use. Programs such as Mobil Advantage are changing that. These programs are text-based, and virtually no one is leery of sending and receiving text messages anymore. Tags and signs simply ask shoppers to text a short code for more information on the plant. They then receive a link to a website that provides a world of information to the consumer. And consumers are not only open to receiving information this way, they crave it. A recent study showed that 92 percent of shoppers rely on their mobile devices in-store on their path to purchase. Another study showed that 66 percent of consumers are more willing to shop at stores with an in-store mobile experience. And text messages directed from retailers or brands have a 98 percent open rate, so your information is almost assured of being seen. Try that with direct mail. Our research shows that 50 percent of consumers would likely use text messaging to get more plant information. This far beats the usage of QR codes, which most people were reluctant to use. And yes, as the consumer’s age goes down, likely usage of texting for information goes up. Not only that, but the analytics available through these mobile programs are giving the green industry an unprecedented look at what information consumers want, who’s asking for it, when they’re asking for it and where they’re asking for it. With these analytics, companies are starting to target-market to consumers in ways they never thought possible. Basically, the app can tell retailers and growers when customers are accessing the information, and where. In our test programs, we were very surprised to find that shoppers were activating Mobile Advantage 91.5 percent of the time out of store. So rather than searching the information at the garden center, they were getting the plants home and looking for more information. But that’s where the analytics can be even more powerful. Shoppers accessing Mobile Advantage sites can opt in to receive future information from the provider. With that, the provider has detailed information on what that shopper purchased and where they live. So what does that mean? Imagine if you sold a certain plant that’s tender to cold. What if you could text all customers that had purchased that plant in area codes about to receive a frost to warn them they need to protect those plants? Oh, and you have frost blankets on sale. And that’s just the start. As more green industry members start using these programs, they’re going to start finding even more and more ways to use them to our advantage. It’s going to give those consumers, yearning to succeed with our products, the information they need — in the format they want. It’s not far-fetched. This is not futuristic. This is a reality and both Monrovia and Lowe’s will be using Mobile Advantage with all their tags starting in 2017. The question of how to better reach the modern consumer has been solved, and it’s a much more cost-effective answer for independent garden centers than most could imagine. Todd Davis is director of the OnSyte/Catalog division at Horticultural Marketing & Printing in Mesquite, Texas. He can be reached at [email protected].